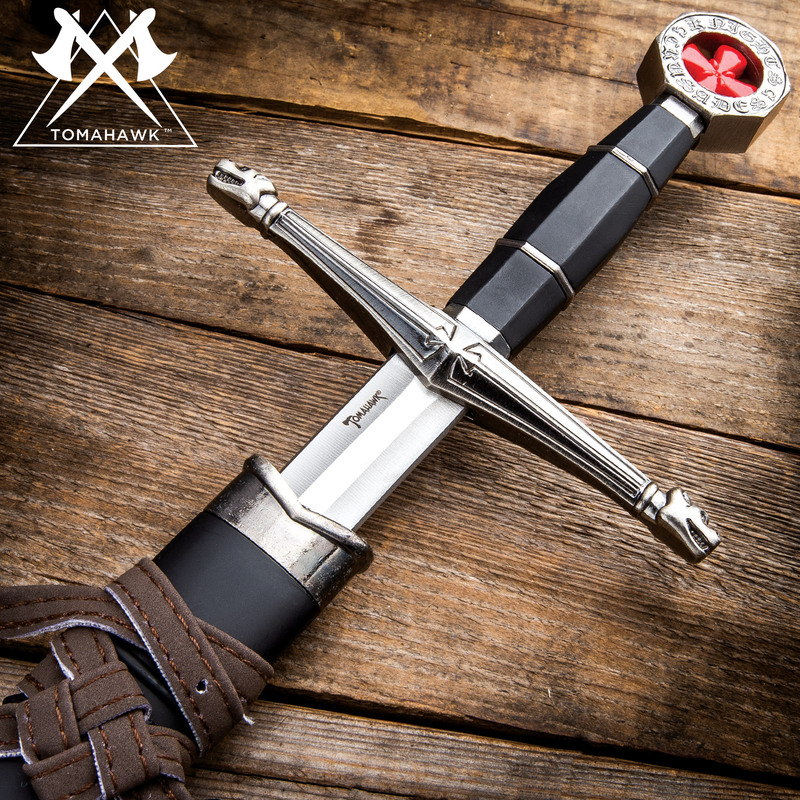 This fine replica is patterned after a medieval broadsword and will be enjoyed by collectors and reenactors alike! This item features a stainless steel 17" blade and offers a cast metal handle with an ornate guard and pommel along with a black composite grip. 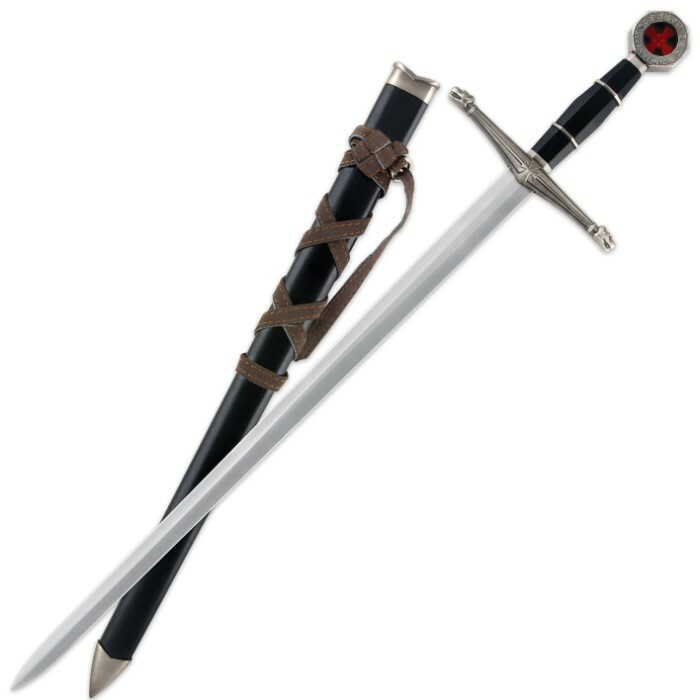 This sword measures 22 1/2" overall and includes a coordinating black sheath. Cool looking dagger perfect for paring it with my Templar Sword! the only thing wrong with it is that one of the rings on the Hilt was a little loose but overall a good Dagger. Love budk great products!!!!! This sword was way smaller then i expected but it was also alot thicker, which makes it stronger. the cross gaurd was just beautiful but it feels like it missed the heat treatment but i think its okay. it is not half tang like it said eather,the blade goes about 1 1/2 inches in to the handle. if you have a few hours to kill you can fix it up and it would be a great weapon but without fixing it its kinda a peace of crap. Despite the mixed reviews on this sword, I ordered it for my medieval collection and was very pleased when it arrived. It is solid, straight, attractive, and will make a very good addition to my collection. This sword looks amazing. I can't put it any other way. It's not for hitting things with, though, as I soon found out. I swung it a few times and knocked it against a pole and the handle broke in half. It seems as if the handle is just three sections glued together. Still, it's an amazing short sword and looks awesome on your hip or your wall or wherever you want to put it. quality was good but definetly a lot smaller than the picture. like a tad bigger than a letter opener. An attractive wallhanger. Shows close attention to detail. Authenticity was apparant.